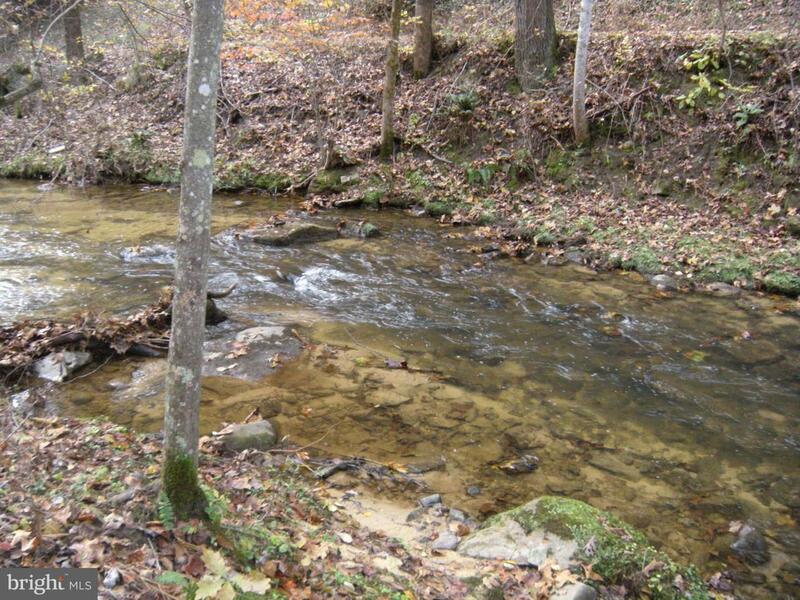 This nicely wooded recreational/building lot has frontage on Dillons Run Trout Stream, and is within sight of the community fishing lake, and the rustic, wooded covered bridge over the creek. The lot is mostly level, with a couple of great building sites. Consider building your weekend cabin here. Community amenities include fishing & swimming lakes w/beach & picnic area, tennis court. ATVs OK.